Many couples try and fail to have a baby time after time. Your timing is very important. 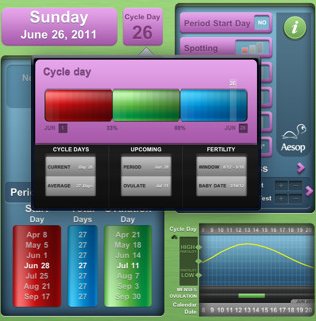 Women who track their menstrual cycle have an easier time finding the right time to get pregnant. Fertility Clock is a simple tool that tells you when the time is right for your tries. Fertility Clock has an attractive interface. It tells users when their fertility levels are high. Not sure when your next period will start? This app can forecast that for you. 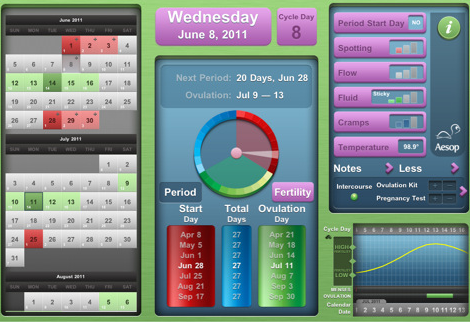 Fertility Clock puts your data on charts, showing you your menstruation and ovulation days. Users can record their symptoms to share them with their doctor easily. Fertility Clock works on iPhone and iPad. We are not too sure about the gender prediction feature. But the charts and reports in this app are pretty useful. A nice app for anyone planning to become pregnant.